Only the mobilization of the entire society will efficiently counter violence towards women in all spheres. It is necessary to join forces among determined men and women to put an end to it. 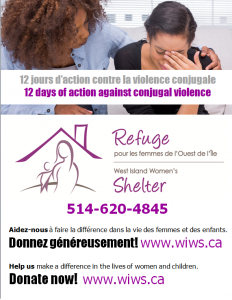 The shelter plays an active role in the community to promote a collective vision of the problem of conjugal violence and to engage members of society to find global solutions.